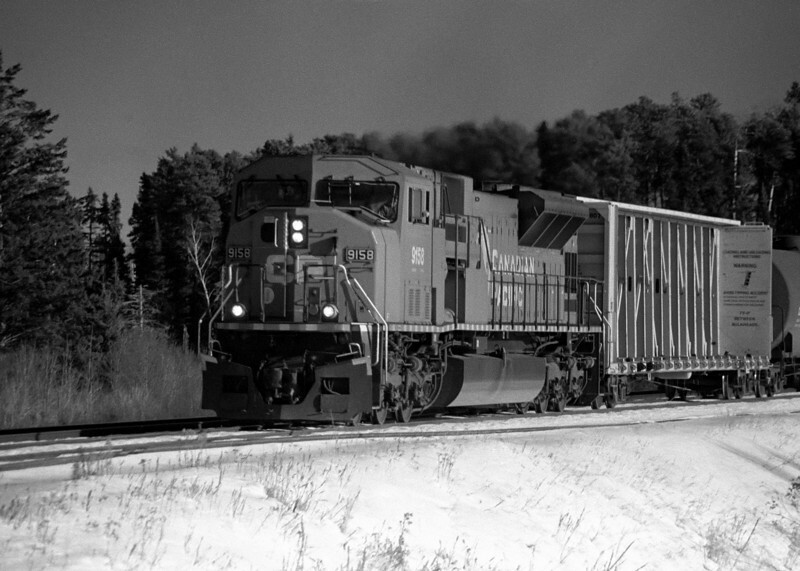 CP 9158 heading through Barclay Ontario (photo taken December 2002, processed February 2009). I did not develop the film so I did not place this image in the main black and white gallery. Minolta Maxxum 7 loaded with Kodak TMY.